Sunriver, Oregon, is an adorable little resort town just south of Bend, Oregon, that’s a perfect weekend destination. About a three-hour drive from Portland, my family and I found Sunriver to have a little bit of everything. 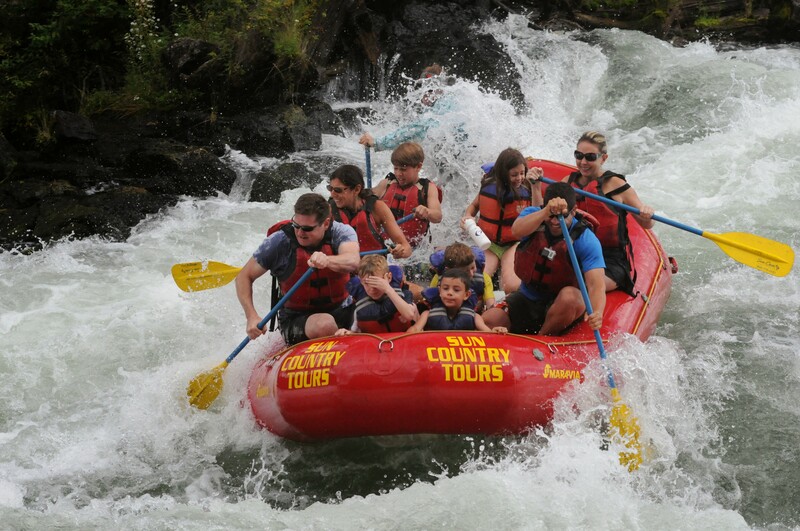 In just one weekend, we biked, rode horses, white water rafted, and more. 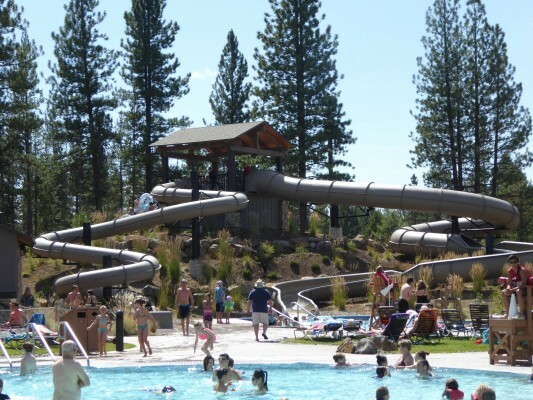 Sunriver has many lodging options to choose from and we opted for a vacation rental. I like being able to have plenty of room and having more than one bathroom. We got our rental through Bennington Properties a local company with plenty of inventory. We liked staying with them and I highly recommend them. Everything in Sunriver is accessible by bicycle. They built the area with extensive bike paths, so either bring your own or plan to rent some. If you decide to rent a vacation home to be sure to ask if the house has bicycles you can use. Our house had a kayak we could use, bicycles, and a hot tub. Although we had a kayak in the house, we were not sure where to go to use it. Plus our family of five couldn’t all fit into one kayak! Luckily for us, there is a marina in Sunriver where you can rent equipment and take tours. 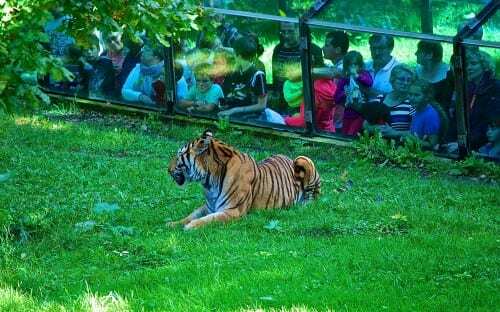 We went on their wildlife tour and although we saw next to no wildlife we had great time. After we got done kayaking they fed us lunch and took us on a hike to see Dillion Falls. Not for from the marina you will find the Sunriver stables. 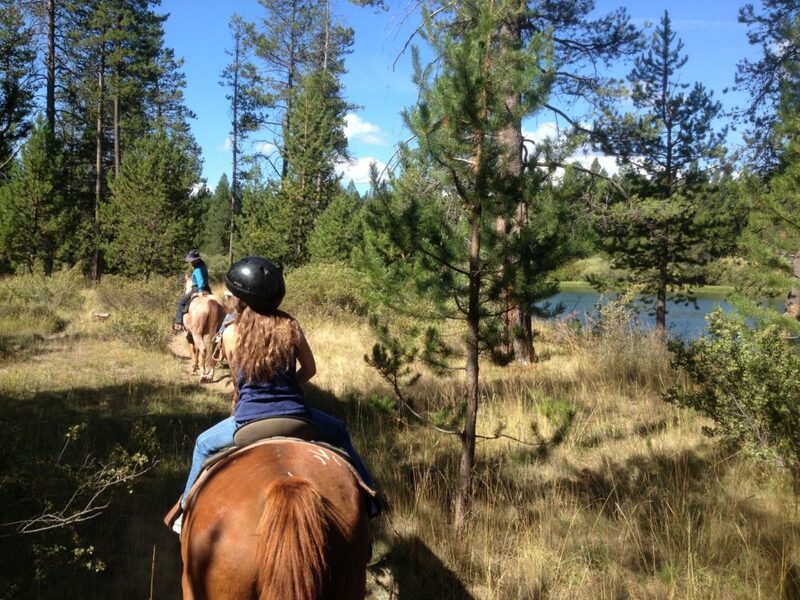 Sunriver is home to many horses and offers trail rides of varying lengths. We took the one-hour ride, but I think 30 minutes would have been enough. All the trail rides offered are fine for beginners. If you are not a beginner, you might actually find the trails here a little boring. Sunriver has its own little water park (shown in photo at the beginning of post) that is mainly outdoors, but also indoors as well. Sharc is an $18 million, 22-acre year-round aquatic facility. It has a tube slide, body slide, lazy river, lots of swimming pools, and a hot tub for adults. Military personnel and their families receive 50% off regular admission, which was awesome for our military family! 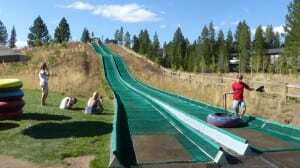 What was even cooler about going to this water park was that your admission got you unlimited rides on their summer tubing hill. All in all our family had a great time and within three hours we were back home!